The early mornings are already getting brighter, and that is a sure sign that Spring will soon be upon us once more. 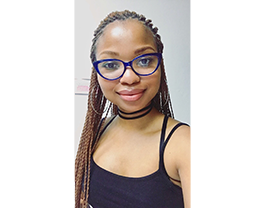 The days will begin to warm up, whilst the evenings remain crisp as we venture just a little bit closer to the warmth of year-end. 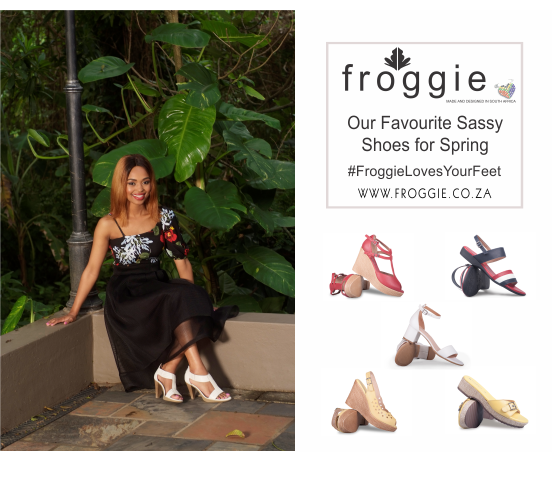 Froggie can help you put your best foot forward with these stunning transitional shoes for spring so that you can ease from season to season in style. 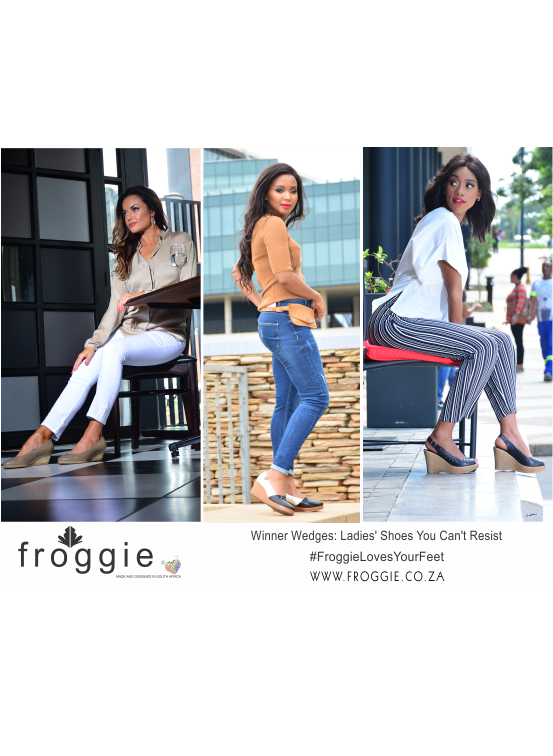 These gorgeous wedges will stop traffic as you go about your Spring-day duties! This pair of shoes will elongate your leg and carry you comfortably throughout the day, whilst simultaneously adding a bold pop of colour to your transitional wardrobe. 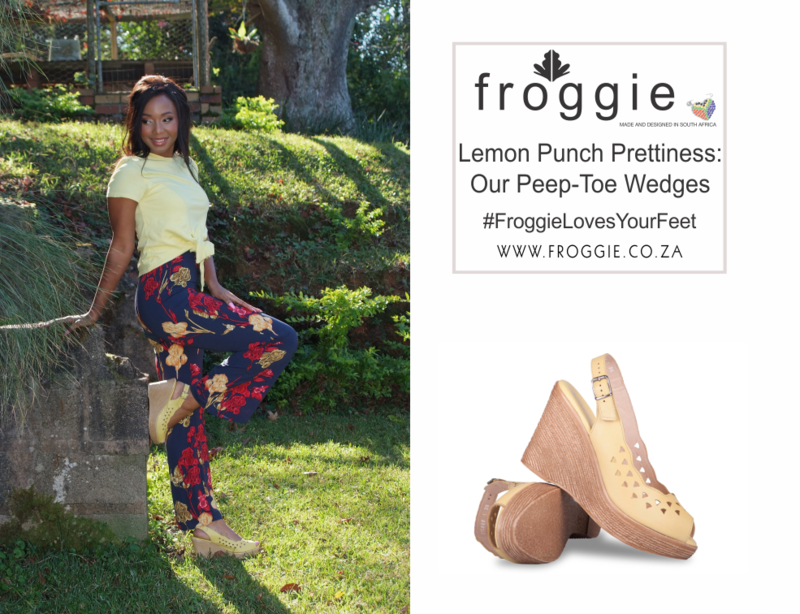 Bring life to this look with these wedges, particularly in our bright yellow Lemon shade. This pair combines the best of so many worlds: peep-toe pleasure, T-Bar beauty and wedge heels to tie the look together! This versatile pair of shoes for spring can be worn with just about anything from flowy dresses to flirty skirts and even a pair of skinny jeans. 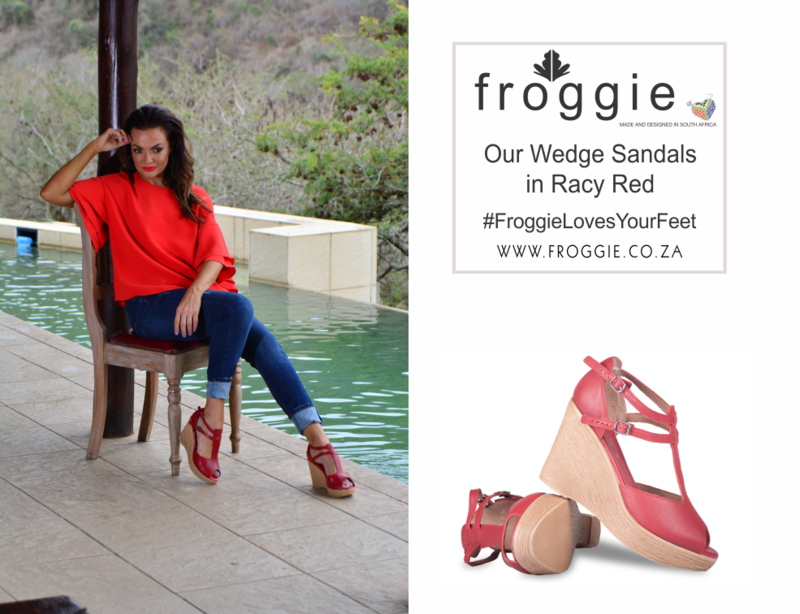 You can grab your pair of wedge sandals here, and be sure to make a statement in red! We double dare you to try out our double bandage sandals in Marina Multi colours! The red, white and blue bandage detail makes this pair of shoes for spring super preppy and fun, and perfect for women of all ages. These sandals are available exclusively in a wider fit to accommodate ladies comfortably and supportively throughout their spring-time adventures. Grab your pair here, in Marina Multi for fresh spring feel you deserve. 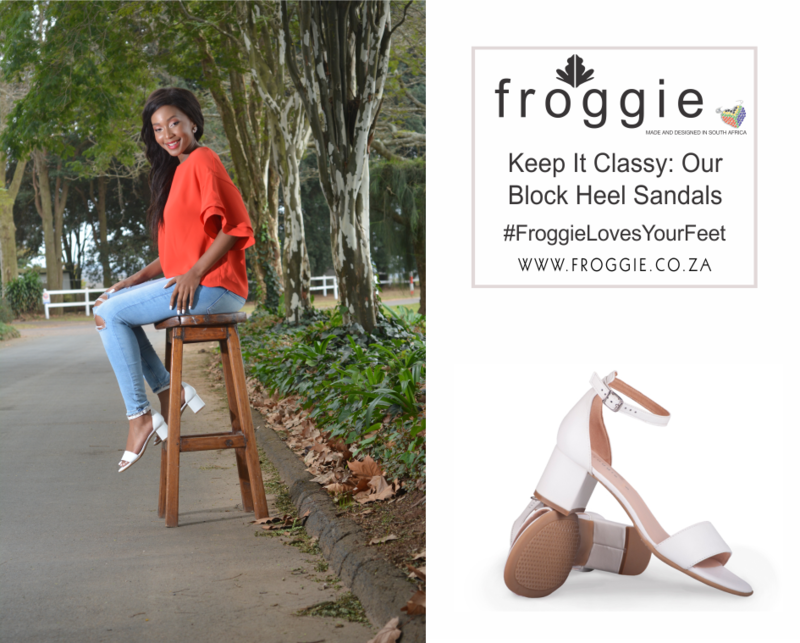 One of our most simple yet sophisticated shoes, these block heel sandals are guaranteed to keep your Spring looks fresh and funky. 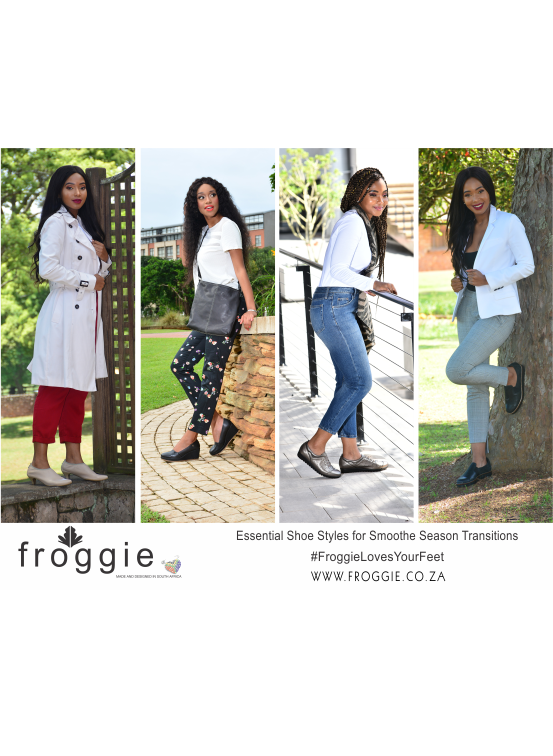 To make the most of the transitional period, we recommend you grab your pair of sandals in crisp white to break out of the dark winter wardrobe habits and bring renewed life to your looks. We can’t get over these super trendy cork slides in delicious Lemon yellow! 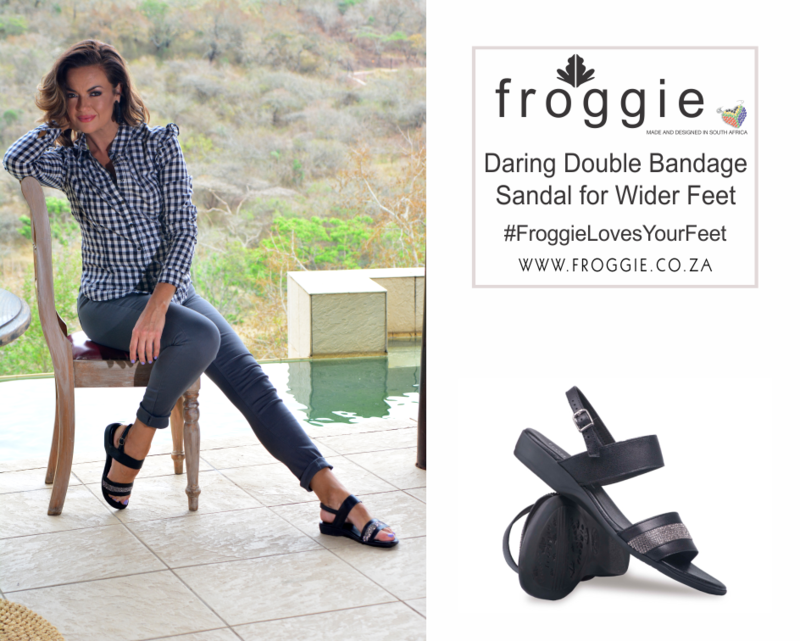 Possibly the most perfect pair of flat shoes for spring, these slides are uber comfortable and equipped with non-slip soles so that not even a scorching spring day can unsettle you! Get yours in Lemon, here. 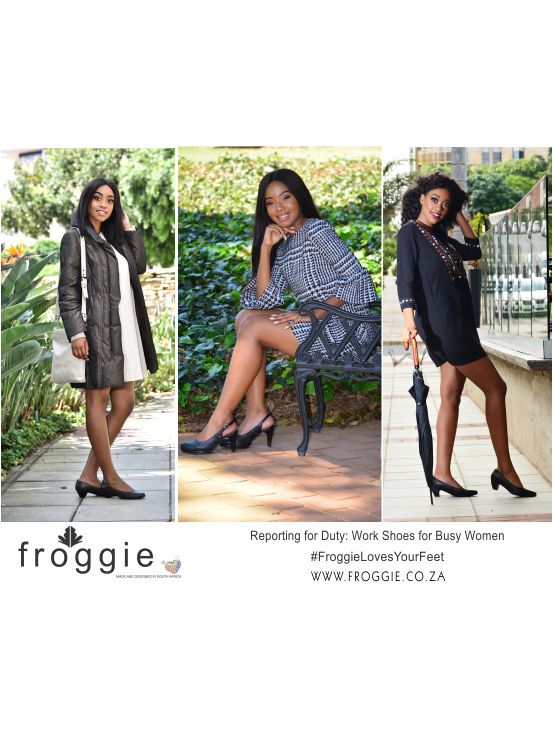 Froggie craft a variety of high-quality genuine leather shoes perfect for all occasions. 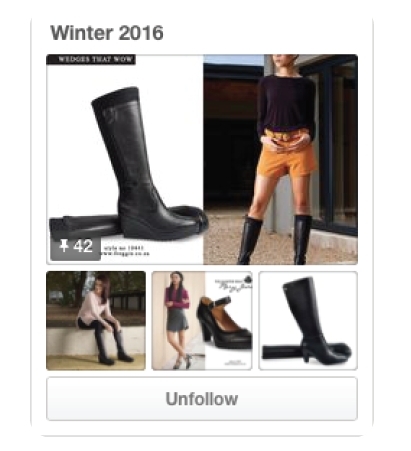 You can browse our selection of stylish ladies’ footwear right here. You can contact us should you have any questions about our shoes, service, style and more.